Is Your Website SEO Healthy? In today’s digital world, most business owners know they need a website. What most business owners don’t consider is how the design of their website can influence their business’ visibility. SEO (or search engine optimization) is the generic term for optimizing a website to rank high in search engine results pages. A few years ago this simply meant filling your website with as many keywords as possible. As time has gone on, search engines have become far more sophisticated in how they pick which websites they display. Search engines currently look at a wide variety of factors when determining what websites to show on search engine results pages. Customer experience now ranks alongside keywords as factors that Google uses to determine which websites are included in their search results pages. Some factors like the age of your domain name can’t be controlled. Other factors like page speed and mobile friendliness can, and should, be monitored to ensure that you are ranking high in search engines. Not mobile friendly yet? Expect a big penalty on searches done with mobile phones. With so many factors involved, it can be challenging for small business owners to understand how their website really stacks up. Fortunately, there are many powerful (and free!) SEO testing tools available. Here are five of the best. We live in a mobile world. 80% of all internet users use smartphones. Over half of all internet traffic now comes from mobile phones. With 4 out of 5 people now conducting local business searches on their smartphones, your website needs to look as good on a smartphone screen as it does on a desktop computer. So is your website mobile friendly? The Mobile-Friendly Test from Google will tell you. To test your website for mobile friendliness simply add in the url of your website into the Mobile-Friendly Test. Google will then analyze your website and show you how it sees your website. If it determines your website is not mobile friendly, Google will also provide you with a list recommendations for how to fix it. 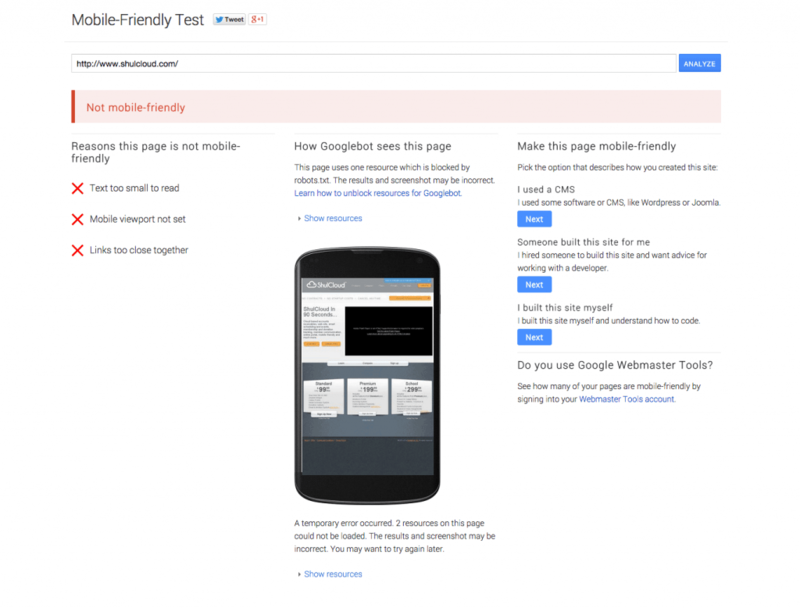 After plugging in your websites url the Mobile Friendly Test will give you a snapshot of how Google sees your site. If this snapshot looks different from how your website looks on your phone you likely have issues with files on your website blocking Google. Consult your website developer to fix this. Speed is another major factor in the overall health of your website. 47% of consumers expect a webpage to load in under 2 seconds. 40% will abandon a website that takes more than 3 seconds to load! For these reasons Google decided that page speed to make page speed a ranking factor back in 2010. To ensure that you’re not losing traffic due to long loading times, Google has also released their free Page Speed Insights tool. 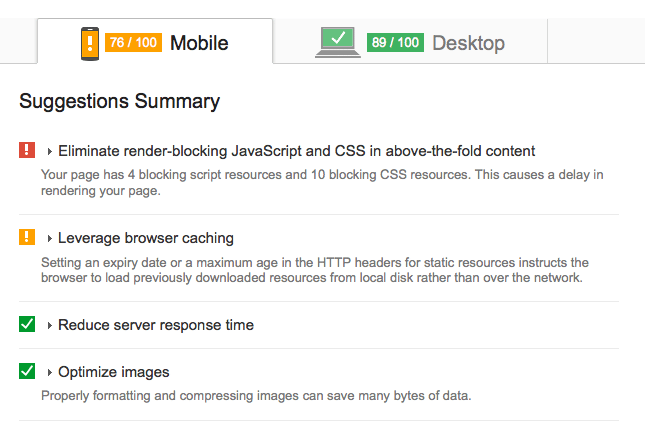 After plugging in your url and running the test, you will be given a score out of 100 on both mobile and desktop speed. As with the mobile friendly test, Google will also give you a list instructions on how to improve the speed of your website. Google Speed Insights displays your website speed on both mobile and desktop. Pay special attention to your mobile speed as mobile users are much more conscious of website load times. Metadata that is missing or incorrectly written. Most websites contain at least a few of these costly SEO errors. To find out if your does, simply download the free SEO Spider Tool and enter your website’s homepage URL. It will then crawl your entire website (the fee version will do up to 500 URLs) and displays your pages in a spreadsheet. Each line of the spreadsheet represents the data for one page of your website. The SEO Spider then allows you to filter your results based on a number of factors, including error codes. Errors on your website can cost you a ton of traffic. They can also take a ton of time to find and fix. By quickly and easily telling you what potentially SEO harming errors that your site may have, SEO Spider will save you hours of going through each page on your website, testing links and checking metadata. Fetch As Google. This tool allows you to see how Google sees a specific page of your webpage. The information you get back can help troubleshoot why a particular page might not rank well on search engines. Sitemaps. Sitemaps is an SEO tool that allows you submit a sitemap of your website to Google. Sitemaps are a list of pages on your website. They allow search engines like Google to crawl and index your site quicker. The easier search engines can find your content, the better for your SEO. Crawl Errors. Like The SEO Spider, Crawl Errors searches your website for common SEO errors. Any errors found will display with the URL they were found on, allowing you to quickly fix the problem. robots.txt Tester. Your robots.txt file tells Google which pages on your website they are allowed to crawl and which ones they are not. If Google can’t crawl a webpage, that webpage is not eligible to be put on their results pages. The robots.txt Tester tool allows you to see if there are any pages that you are accidentally blocking from Google. Search Analytics. This tool shows you exactly how well you rank in search engines. It also shows you how well your website has performed in the past. This is a real game changer because it allows you to see how your efforts are actually affecting your search ranking. 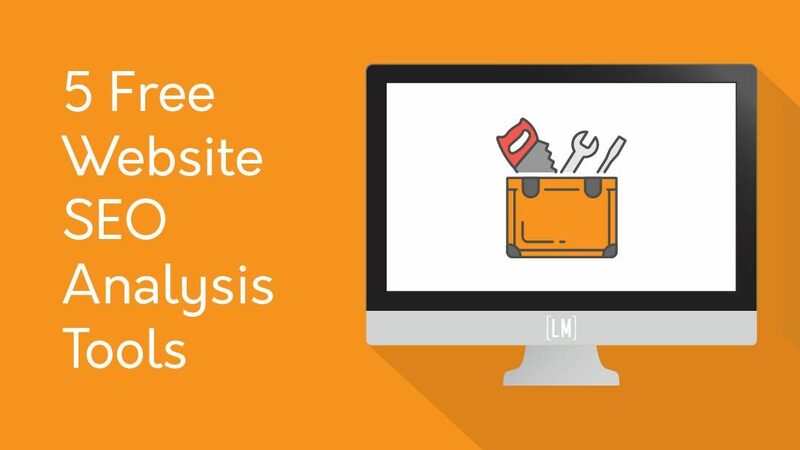 The final SEO analysis tool we will look at today is SEO Analyzer by Neil Patel. 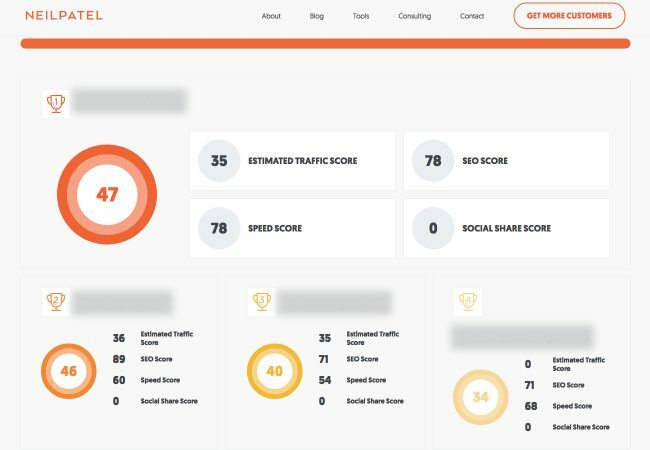 It features a website analyzer that looks at your traffic, SEO optimization, speed, and social media and gives you a score for each out of 100. The SEO Analyzer also features both a content marketing assessment and a competitive analysis tool. The competitive analysis tool is an especially handy resource. It allows you to input up to three other websites to compare to yours. SEO Analyzer then ranks them by their estimated traffic, SEO rating, speed, and the amount of shares they receive from social media. If you’re ever curious how well your website ranks compared to your competition, this tool is a great place to start! The competitive analysis tool in Neil Patel’s SEO Analyzer ranks your website against up to three of your chosen competitors. This gives you a good overview of how you can gain an advantage over the competition. Now that you have all of this information, what do you do with it? No website is perfect and every one can improve in some way. Start by prioritizing the fixes you want to perform. Focus on any severe problems that can be fixed easily, like webpage headings or alt tags on photos. Relatively easy changes like these can provide a decent boost to the SEO of your website at little to no cost. After those initial changes are complete, work your way through the remaining issues as your time and budget allows. If you would like more information on how you can improve the health of your website you can contact us anytime. We are happy to answer any questions that you may have!